The 10th Anniversary celebration of The Shubert Foundation/Music Theatre International arts education program, Broadway Junior, will take place today, May 19, 2015 at at 10:30 a.m. at Broadway's Imperial Theatre (249 W. 45th St.). The event will be hosted by "Hedwig and the Angry Inch" star Darren Criss. Students from Brooklyn, Bronx, Queens and Manhattan will perform song and dance numbers from their school versions of Broadway musicals. The shows include Into the Woods JR, Disney's Aladdin JR, Fame JR, Annie JR, Hairspray JR, and Schoolhouse Rock Live JR. The Shubert /MTI Broadway Junior Program is a groundbreaking musical theatre mentorship program that builds self-sustaining theatre programs in public schools that have limited arts programming. The program is sponsored by The Shubert Foundation, Music Theatre International (MTI) and the New York City Department of Education (NYCDOE). At the event today, May 19, the New York City Department of Education Chancellor, Carmen Fariña and Music Theatre International's Chairman and CEO, Freddie Gershon will offer welcoming remarks. Shubert Organization President, Robert E. Wankel will introduce Shubert Foundation President Michael I. Sovern, who will introduce this year's Broadway Junior host, Darren Criss, who is currently starring in the hit Broadway musical, "Hedwig and the Angry Inch." In attendance at the Broadway Junior event will be Philip J. Smith, Chairman of the Shubert Organization, members of Chancellor Fariña's cabinet from the Department of Education, prominent NYC arts educators, and leading members of New York's professional theater community. "The arts teaches students the importance of revising, editing, rehearsing and joy in the pursuit of mastery - a lesson critical in the classroom and beyond," said School's Chancellor Carmen Fariña. "Expanding access to theater, and more generally arts education, helps inspire students, builds confidence and deepens their critical thinking skills. By taking advantage of the City's rich cultural resources, and partnering with great organizations like the Shubert Foundation, we will be able to continue to offer teachers hands on training and arts experiences and give our students access to a world class arts education." Michael I. Sovern, President of The Shubert Foundation, stated, "Every year, the Broadway Junior celebration is a joyful burst of youthful talent and energy that lights up Broadway. The long-running success of this program clearly demonstrates the value of The Shubert Foundation's ongoing support for arts education programs in our New York City public schools." "I am so gratified, along with Team MTI to witness how this program has matured and expanded over 10 years. The unanticipated long term impact on the students, schools and local communities has gone beyond what any of us could have envisaged as the participating students are learning life skills, indispensable to their futures. These include the ability to collaborate, follow direction and instruction, practice self-discipline and work ethics, and use their imaginations while honing their verbal communication skills. These are the great gifts to give a new generation, critical for success, and often atypical of traditional curricula," said Freddie Gershon, Chairman and CEO of MTI who conceived the Junior Musicals Program. "The results achieved from Broadway Junior have been truly extraordinary. Many participating schools, with previously little or no access to the arts, have come to consider themselves "arts" schools. Even beyond the direct effect on students, principals have commented on the larger learning culture that Shubert/MTI Broadway Junior promotes and helps develop. Similarly, teachers, who didn't realize they had talent as a theater director, musical director, choreographer or designer, have become arts leaders in their schools and communities," according to Peter Avery, the event's Producer and the Director of Theater, NYC Department of Education. The Shubert Foundation/MTI Broadway Junior Program engages students in all aspects and areas of the arts, utilizing master teachers and expert production advisers from the educational theatre organizations, iTheatrics and ArtsConnection. In the first year of the Broadway Junior program, teachers and students are guided step-by-step through the process of producing a first-ever musical in their schools. In the second year, teachers and students continue to receive support and encouragement on their second musical, but take ownership over their productions. In the third year and beyond, schools present a musical independently, and serve as inspiration for other schools involved in earlier cycles of the program. Dr. Gladstone H. Atwell M.S. 61 / Soundview Academy for Culture and Scholarship / Carroll Gardens School for Innovation / Scholar's Academy / Catherine & Count Basie Middle School 72 / P94M The Spectrum School / Edward Bleeker JHS 185 / PS 241 STEM / Ron Brown Academy / PS/MS 004 Crotona Park West . Since 2005, The Shubert Foundation has provided more than $3.2 million to the New York City Department of Education for Arts Education/Theatre programs. This year marks the Foundation's tenth year providing funds for The Shubert Foundation/MTI Broadway Junior program which was founded during the 2005-2006 school year. To date, 60 schools and more than 10,000 students have participated in the program. Currently 45 schools are involved in the program. In 2015, The Shubert Foundation introduced a new program in partnership with the NYC Department of Education, The Shubert Foundation High School Theatre Festival for NYC Public Schools. The annual event features highlights from NYC public high school productions of plays and musicals, performed on a Broadway stage. The Shubert Foundation, Inc. is the nation's largest private foundation dedicated to unrestricted funding of not-for-profit theatres, with a secondary focus on dance. In 2014, The Shubert Foundation annual grants program awarded a record total of $22.5 million to 470 not-for-profit performing arts organizations across the United States. The 2014 grants marked the 32nd year in a row that the Foundation's giving has increased. Music Theatre International and Broadway Junior Music Theatre International (MTI) is one of the world's leading theatrical licensing agencies, granting schools as well as amateur and professional theatres from around the world the rights to perform the largest selection of great musicals from Broadway and beyond. MTI works directly with the composers, lyricists and book writers of these shows to provide official scripts, musical and dynamic theatrical resources to over 70,000 theatrical organizations in the US and in over 60 countries worldwide. Broadway Junior features a collection of developmentally appropriate 30 and 60-minute musicals for elementary and middle school-aged performers. Since 1996, over 100,000 Broadway Junior productions have taken place around the world involving over 500,000 educators and over 5 million student performers. For more information, visit www.mtishows.com. The New York City Department of Education is the largest system of public schools in the United States, serving about 1.1 million students in more than 1,750 schools. The Department of Education supports universal access to arts education through the ArtsCount initiative, which tracks and reports student participation in arts education and holds schools accountable for meeting New York State Instructional Requirements for the Arts. For more information, visit www.nyc.gov/schools. Darren Criss (actor, musician and composer) is currently starring on Broadway in the title role of Hedwig and the Angry Inch, the 2014 Tony Award winning Best Musical Revival. 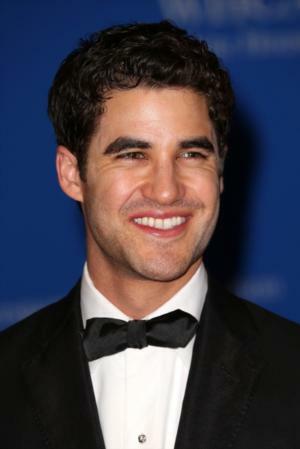 He recently starred as Blaine Anderson on Fox's Emmy and Golden Globe Award?winning series Glee. He made his Broadway debut in January of 2012 as J. Pierrepont Finch in How To Succeed In Business Without Really Trying. The San Francisco-native is a co-founder of StarKid Productions, a Chicago-based theatre company whose works have spurred viral hits, multiple Billboard charting cast albums, and sold-out national tours. His additional film, TV and stage credits include Girl Most Likely opposite Kristen Wiig and Annette Bening, The Wind Rises, Web Therapy, ABC's Backstage with Disney on Broadway, Michael Feinstein's New Year's Eve Special on PBS as well as hosting duties for the NewNowNext Awards and Teen Choice Awards. He received his BFA in Acting from the University of Michigan.